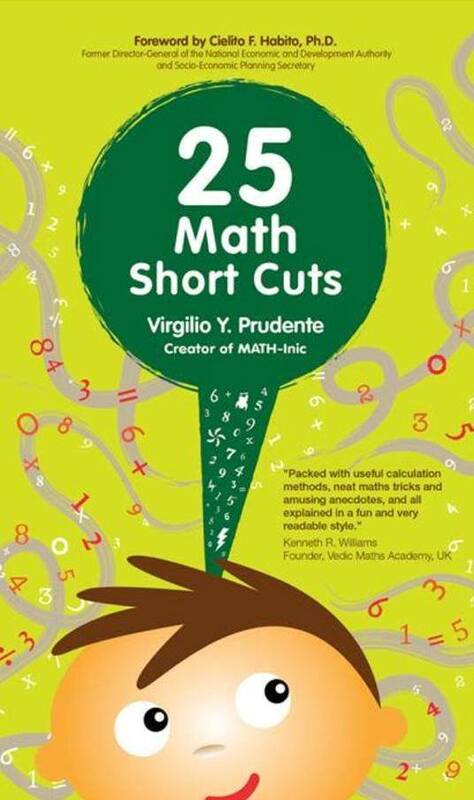 At 4:00 pm, Sir Ike’s book, “25 Math Short Cuts” will be launched. 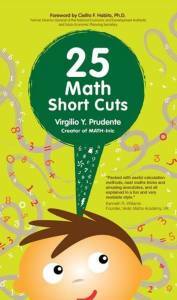 Teachers, Principals, Dep Ed officials and friends are expected to grace the event. 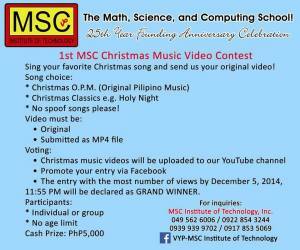 Everyone is invited to join the first ever MSC Christmas Music Video Contest. 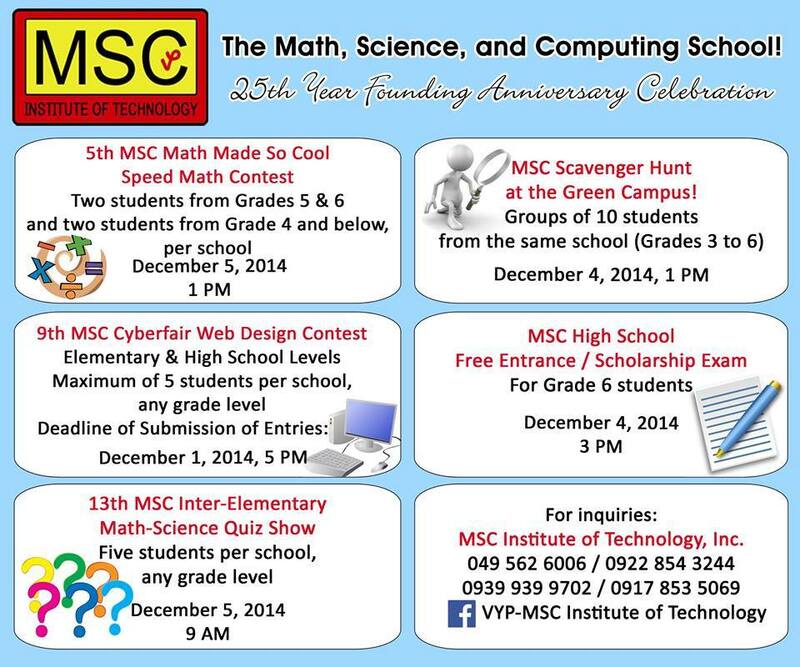 Join now and get a chance to win the 5,000 peso-grand prize! 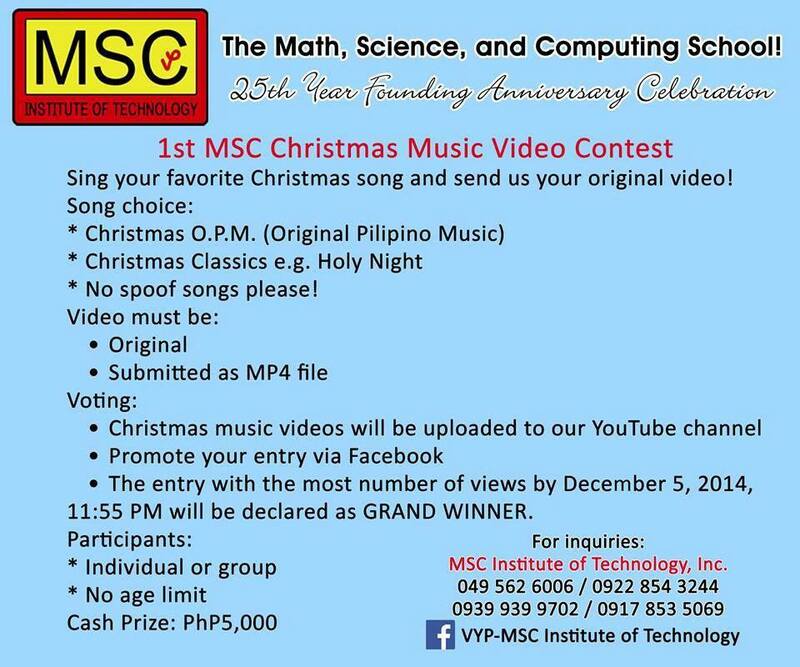 Sing your favorite Christmas song and send us your original video! 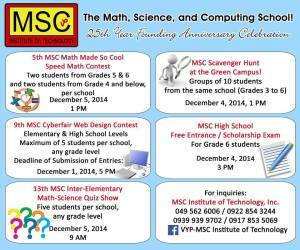 The entry with the most number of views by December 5, 2014, 11:55 PM will be declared as GRAND WINNER. 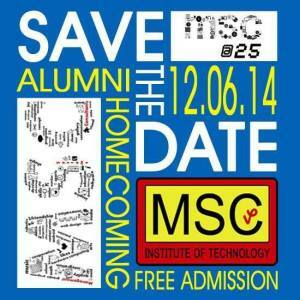 For details, contact us at 049 562 6006 / 0922 854 3244 / 0939 939 9702 or 0917 853 5069. 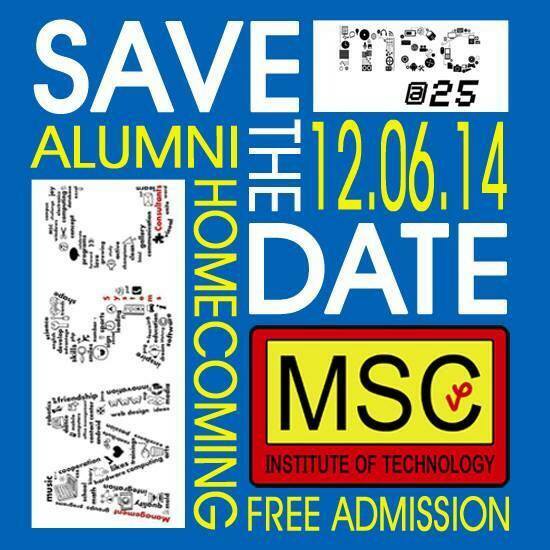 This entry was posted in Alumni, College, High School, MSC, MSC Green Campus and tagged 25 MSC, 25th anniversary, 25th Foundation Day, alumni homecoming, exhibits, interschool contests, MSC on December 2, 2014 by Jose Adonis Duma.